A while ago we were contacted by the makers of the super creative construction kit for kids, Fort Magic. One look at their website and already I could see the huge potential for years of fun and learning so eagerly agreed to write a review and give away a set to one of our International readers. You can see what we had to say about Fort Magic here. With our last giveaway being so popular, Fort Magic have generously offered another set for us to give away! So, have a little look at how we've been playing and learning with our Fort Magic set over the past 4 months and then enter the giveaway at the bottom to win your very own set! Welcome to this week's TUESDAY TOTS. 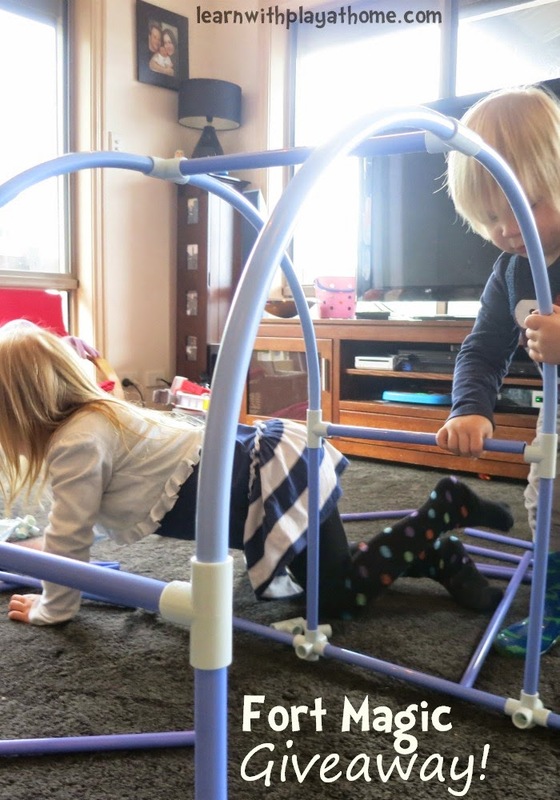 Brought to you weekly by Learn with Play at home (that's us), Rainy Day Mum and One Perfect Day. I think collecting free printables is something I quite enjoy. 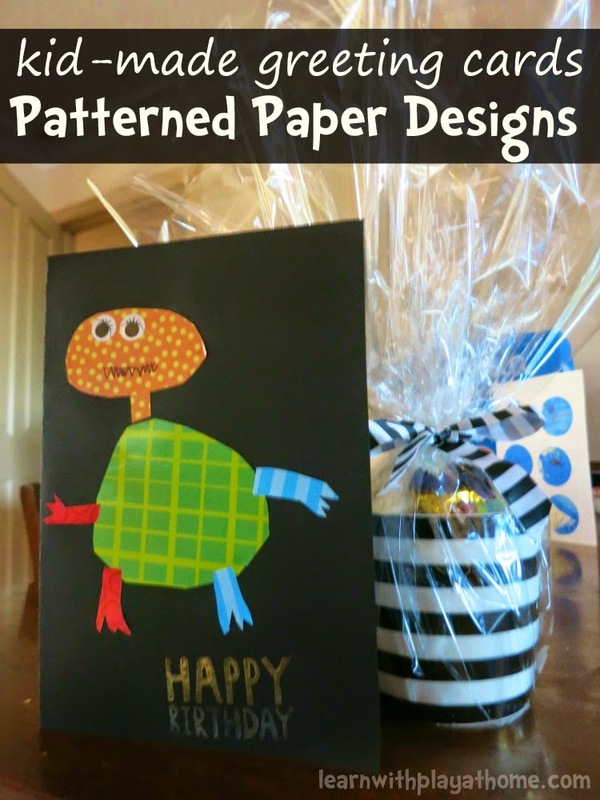 Have a look at my Free Printables Pinterest board and tell me what you think. With over 2,000 great quality free printables on it, it's no wonder there are more than 20,000 board followers. I guess I'm not the only one who loves a good free printable. The amount of possibilities from a printed piece of paper is pretty mind blowing really. 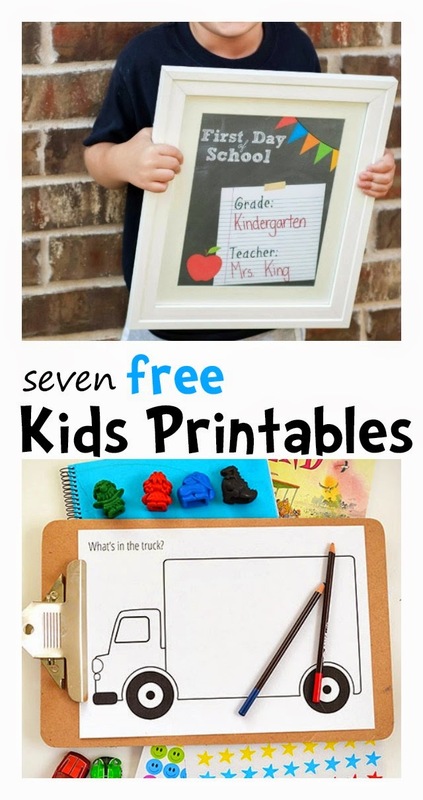 Here are 7 fabulous kid printables for all sorts of useful purposes. Another birthday, another greeting card. We've tried a variety of different kid-friendly (actually doable by children) designs and wanted to try something new. I remembered some lovely patterned paper that I'd be saving to use for some sort of project, so decided a home-made birthday card would be perfect for it. With this particular gift card, we enjoyed combining and working on our design, drawing and cutting skills whilst inadvertently learning more about scale and measurement. 10 ways to play and learn outside. "10 ways to play and learn outside"
Generally the only activity my kids need when they're outside, is being outside. There is so much that nature provides that can keep children entertained for ages. 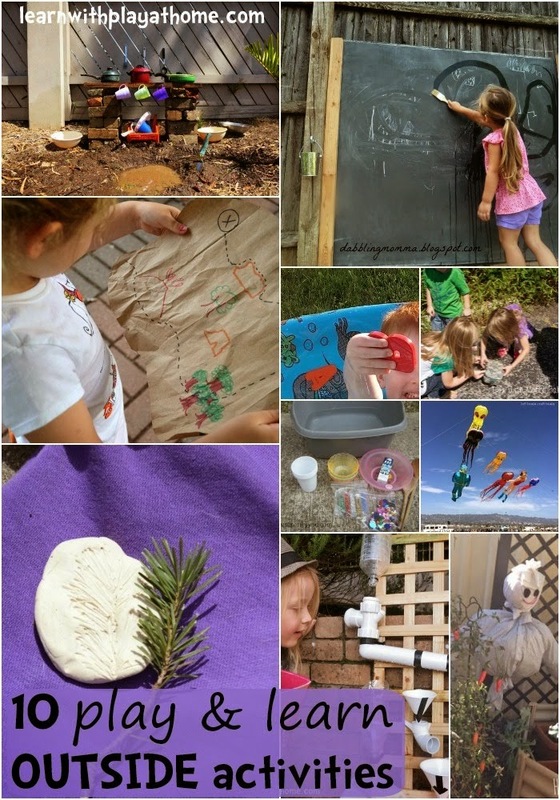 However, if you're looking for a few ways to enhance your outside experience or to find new ways to learn with play outside, here are 10 lovely ideas for you. These days, the latest thing for disposable soap dispensers is "foaming soap." It's actually a pretty good idea (especially when kids are using them) as the dispenser has a built in foaming thing (ok, don't ask me what it's actually called) that adds air to the soap as it comes out and makes it all frothy. It means that you end up using less soap than you might have needed otherwise. Excellent. I wondered, if we put paint into the empty foaming soap dispensers, would the paint also froth up going through the frothy part? We had to experiment! Combining art and science is a lot of fun. Through some trial and error, we discovered that you did still need a soapy solution with the paint in order to get it to froth well. We found that different quantities of soap/paint/water gave different types of foam. 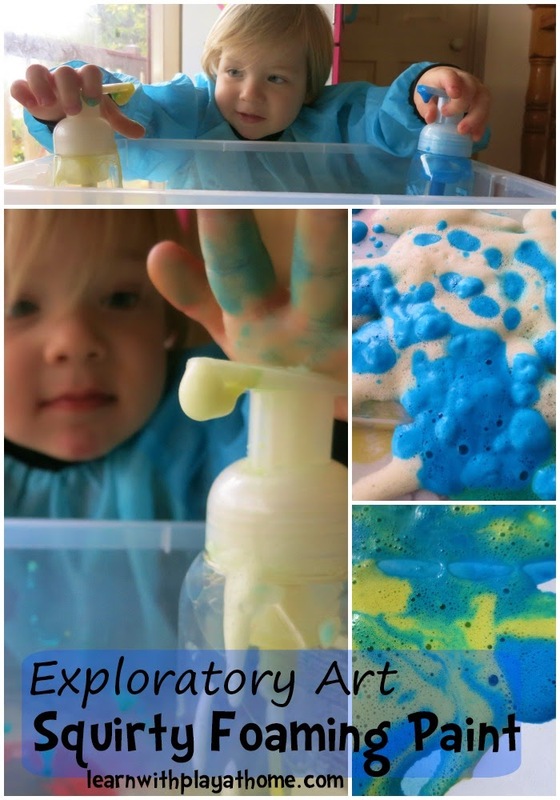 We used this activity to experiment, explore density and viscosity, talk about colours, colour mixing, develop hand muscle strength, use our senses, do printing, make pictures, work on oral language and vocabulary, etc.